To Serve Obama Again , A Sequel : Obama Still Wants To Eat Your Kids! 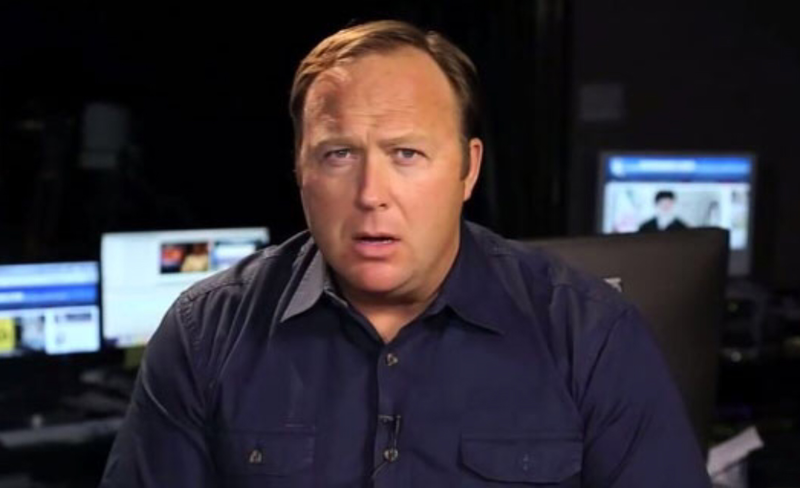 Alex Jones’s ‘how did I get stuck with these kooks , crackpots , wackos , and fruitcakes?’ face. “Welcome to the show ladies and gentlemen. I’m Alex Jones , your host for the number one show in Texas , America , and around the world. I bring you the truth , and nothing but the truth , the truth that the main stream communist liberal news media won’t bring you because it’s controlled by George Soros , the biggest communist liberal in the world. “I have three kooks on today’s show. One’s been here once or twice before. She’s even more of a kook than the other two. She’s also crackpot , a wacko , and a fruitcake. She’s written several wacked out books about Barack Obama , including Obama And His Evil Twin Julio Want To Sacrifice Your Kids With Planned Parenthood , and Obama And His Evil Twin Julio The Mole Want To Kill My Granny With Obama Care. Like I said , she’s a real kook , crackpot , a wacko , and a fruitcake. Smart , intelligent Conservative women , Victoria , Ann-Marie , and Morgan trying to convince Alex Jones that Obama still wants to eat their kids. “My other two guests are Ann-Marie Murrell , and Morgan Brittany. I’m not sure if they’ve been here before or not , but they’ve also written some wacked out books about Obama , because besides being known as kooks , they’re also crackpots , wackos , and fruitcakes. Those books include , The Truth About B. O. And All Kinds Of Other Stuff , and I Was Attacked By B.O. Zombies That Tried To Eat My Brain , the latter which the three of them wrote together. And in case you’re wondering , ladies and gentlemen , those are not the titles of books about zombies with Body odor. Their latest book is , To Serve Obama Again , A Sequel : Obama Still Wants To Eat Your Kids! , has got to be the kookiest one yet. But I’m sure their next book will be even more kooky.